Classic Reversible Apron Pattern from The Paisley Pincushion. 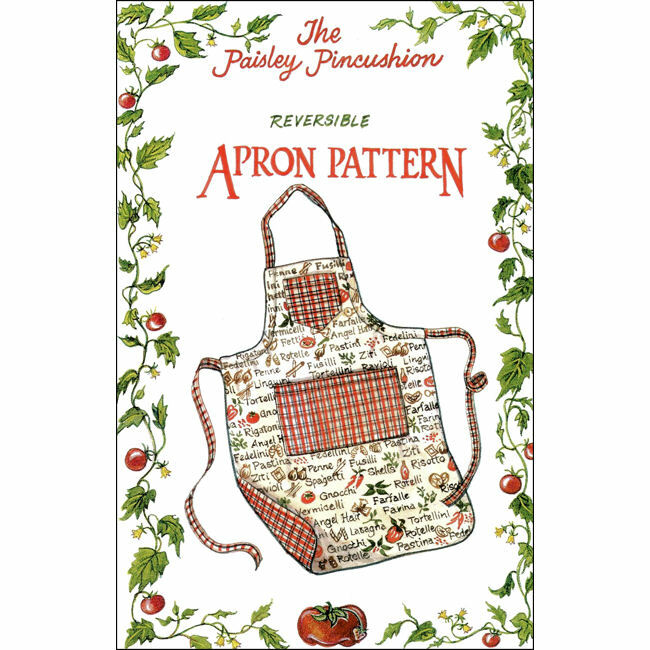 The Reversible Apron Pattern from The Paisley Pincushion features a classic apron design perfect for general purpose use around the home. This basic reversible apron sewing pattern is ideal for using themed or holiday fabrics. Pattern size is One Size Fits All. Includes full size pattern pieces.